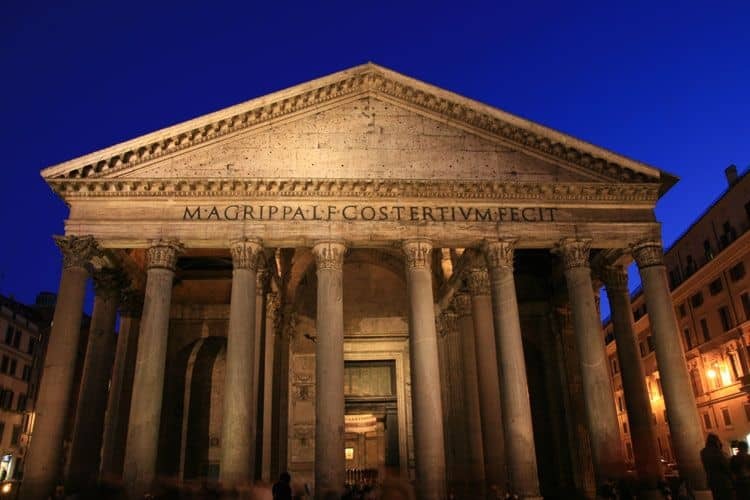 Explore Archaeological Highlights & Sites during Civitavecchia to Saturnia Shore Excursion Riding in Comfortable Chauffeur-Driven Sedans & Minivans. Civitavecchia is known for its amazing sea port. The location of this region will surely stun your senses. The lighthouse present in Civitavecchia is tagged among the famous spots present in this region. 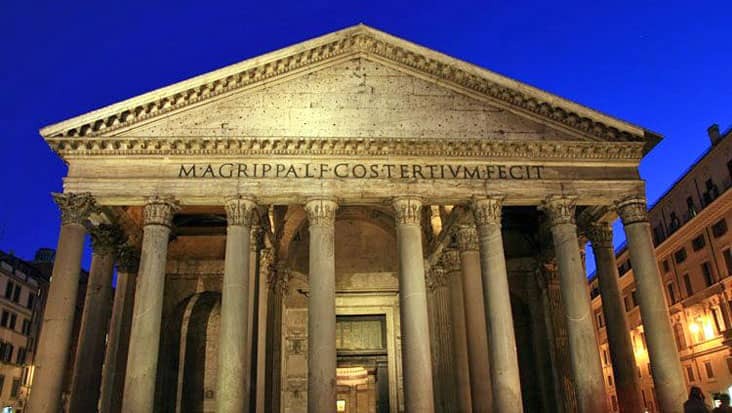 Benvenuto offers Civitavecchia to Saturnia Shore Excursion that is quite amusing. 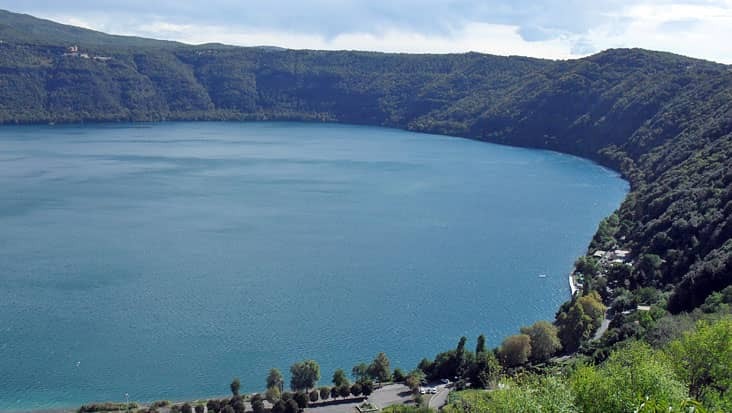 This road trip will cover several scenic landscapes which would fill your heart with joy. We offer luxury sedans & minivans from famous vehicular brands such as Mercedes and VW. 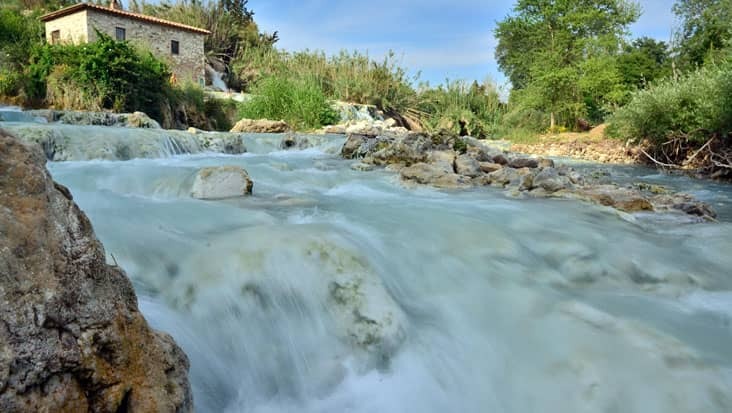 Saturnia is a special destination which is connected to god Saturn. 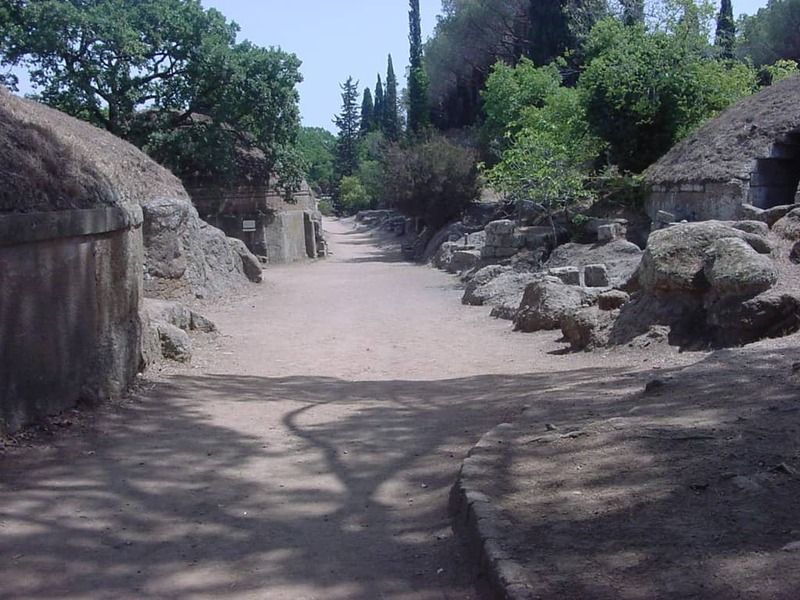 You would get to tour the thermal springs along with several historical sites. The duration of this tour is nine hours which would be covered in total relaxation. Tourists can access this trip package on all days of the year. 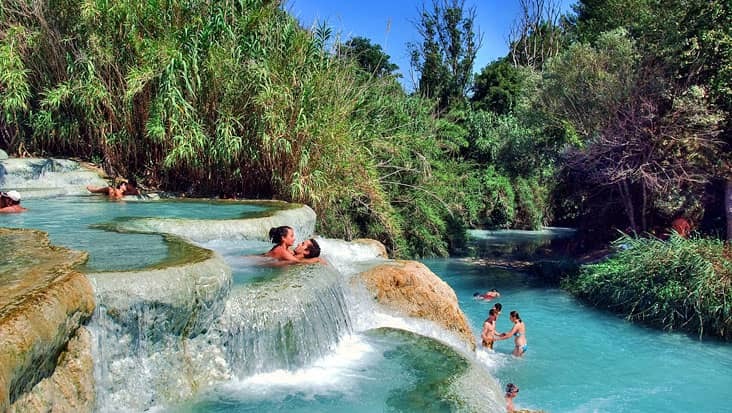 The thermal springs of Saturnia are preferred by tourists since the water consist therapeutic properties. You would enjoy a dip in this water that will relax your body. This area is surrounded with green patches and several rural cultural centers that offer excellent food. You would be toured to Maremma that is the central location of Saturnia. 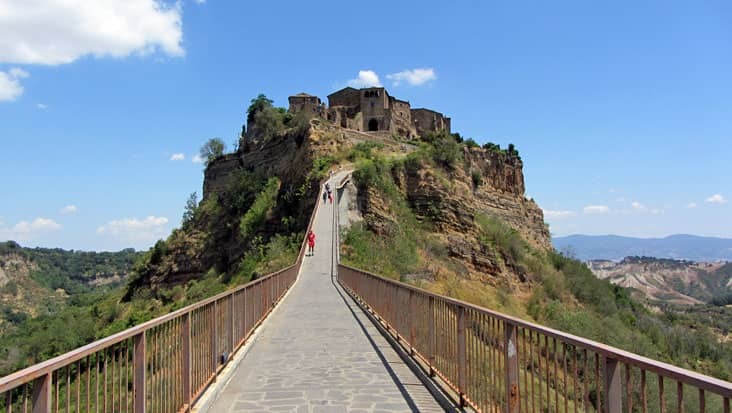 Tourists visit this area so as to examine the archaeological sites which are situated in Sorano, Sovana and Pitgliano. Benvenuto chauffeur service is quite renowned among locals and foreign tourists. You would be toured in a secure environment with all your needs given top priority. These chauffeurs are trained to offer precise details about different highlights that are reached in this journey. We manage a good team of English-speaking drivers who can comfortably interact with international travelers. 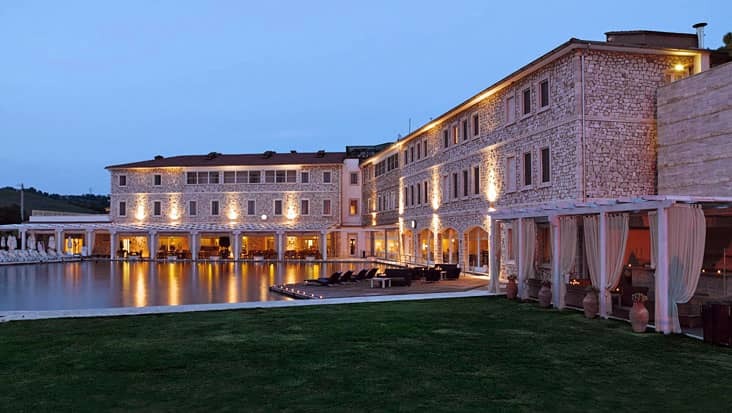 Our service also ensures that you dine at quality eateries while touring to Saturnia. There is an entrance fee to various sites which needs to be paid separately by the tourists. 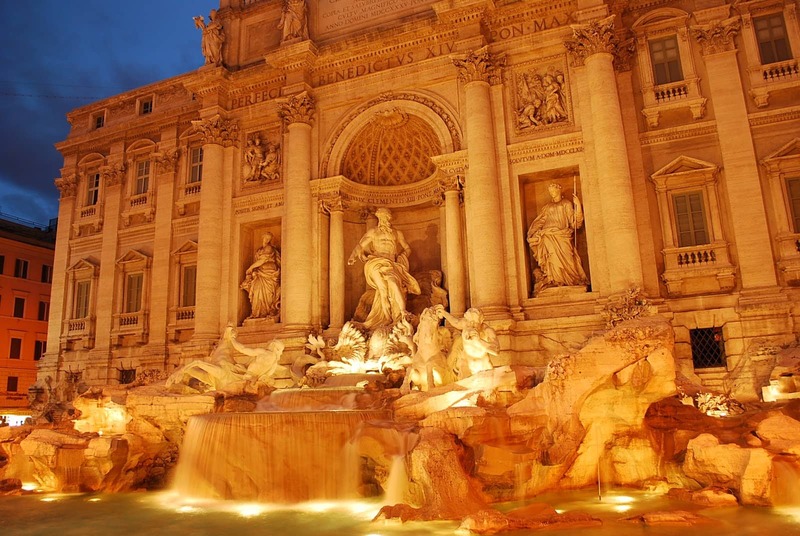 For this tour you can select a luxurious ride from our service. We possess Mercedes V-Class, S-Class and E-Class vehicles that are rich and spacious. These cars are very efficient as they are loaded with comforting amenities. Minibuses are also available through our service that can accommodate up to ten passengers. You can hire a guide for this journey who would help you learn about all the popular highlights. 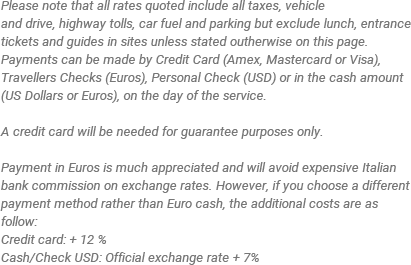 The cost of hiring however is not part of the tour expense. Dining cost is another exclusive amount that needs to be paid differently by the tourists. Please remember to bring your bathing suits, and amenities for the shower.